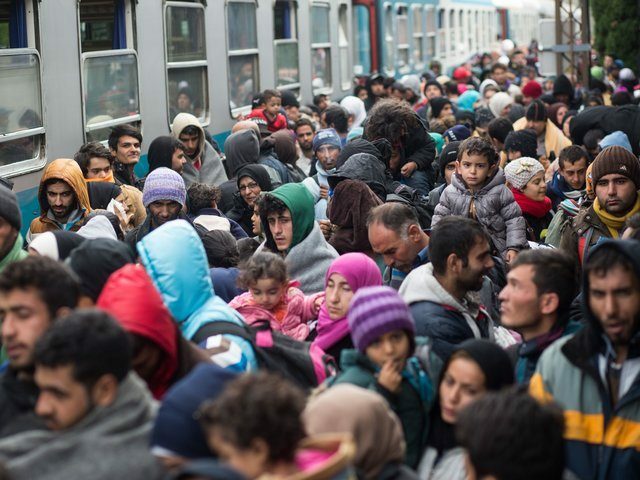 BRUSSELS (AP) — Just days before scores of countries sign up to a landmark United Nations migration pact, a number of European Union nations have begun joining the list of those not willing to endorse the agreement. The 34-page U.N. Global Compact for Safe, Orderly and Regular Migration is set to be formally approved in Marrakech, Morocco on Dec. 10-11. The drafting process was launched after all 193 U.N. member states, including the United States under President Barack Obama, adopted in 2016 a declaration saying no country can manage international migration on its own, and agreed to launch a process leading to the adoption of a global compact in 2018. Despite its non-binding nature, Bulgaria signaled this week that it will not sign, as did Slovakia, whose foreign minister resigned in protest at his government’s stance. Meanwhile, Belgium’s government was teetering on the brink of collapse, riven by coalition differences over the pact. “It’s not legally binding, but it’s not without legal risks and juridical risks,” he said, insisting that rights laws are being interpreted widely in EU courts and that those rulings are tying the hands of migration policy-makers. Francken said that his right-wing N-VA party wants “nothing to do with it.” Prime Minister Charles Michel was taking the agreement to parliament for approval later Thursday against the wishes of the N-VA, the biggest party in his governing coalition. The arrival in 2015 of well over 1 million migrants — most fleeing conflict in Syria or Iraq — plunged the EU into a deep political crisis, as countries bickered over how to manage the challenge and how much help to provide those countries hardest hit. Their inability to agree — asylum reform is at a standstill over the divisions — helped fuel support for anti-migrant parties. Experts say the pact is an easy target. Leaving it seems to play well with domestic audiences, as pulling out has no obvious impact on governments. “The ones who opposed the global compact, have they read it? It is only a framework of cooperation with all countries,” EU Migration Commissioner Dimitris Avramopoulos said Thursday. “It is not binding. It doesn’t put in question national sovereignty,” he said. Other EU countries to turn their back on the document — seen as an important supplement to the international refugee agreements sorely tested by high migrant movements — are Hungary and Poland. The two have opposed refugee quotas aimed at sharing the burden of countries like Italy, Greece and more recently Spain, where most migrants are arriving. But the withdrawal of Austria — holder of the EU’s presidency until the end of the year — has been of high symbolic importance. It remains to be seen whether northern African countries — and others like Turkey that the EU has outsourced its migrant challenge to — see this as a new sign that migration management can only be done on Europe’s terms.